I’ve been straying away from the Asian sector of Manly Movies for quite some time, an error both due to a lack of interesting stuff out now, and also on my own detail due to work. I figured it’s about time to fix that. I managed to squeeze some time in to see two Asian action films over the past weekend in theaters; one being the South Korean cyber-thriller Fabricated City, which started out quite well but became as horrible as its title once it ended. I guess the Koreans were having an off day with that one. 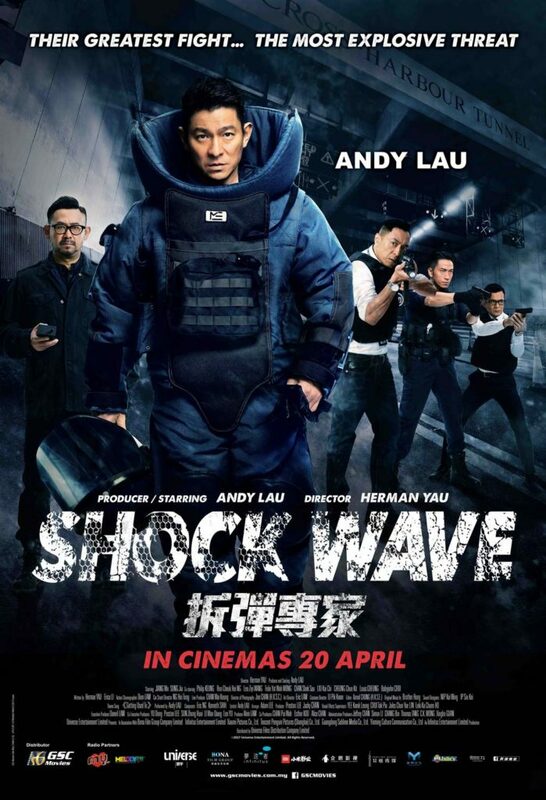 The other flick is a Hong Kong actioner called Shock Wave, starring Chinese superstar Andy Lau. I had not seen any trailer for the film prior to my screening, and the only snippet of info I had regarding the film was that it was basically Die Hard in a Tunnel meshed with The Taking of Pelham 1 2 3, sort of. 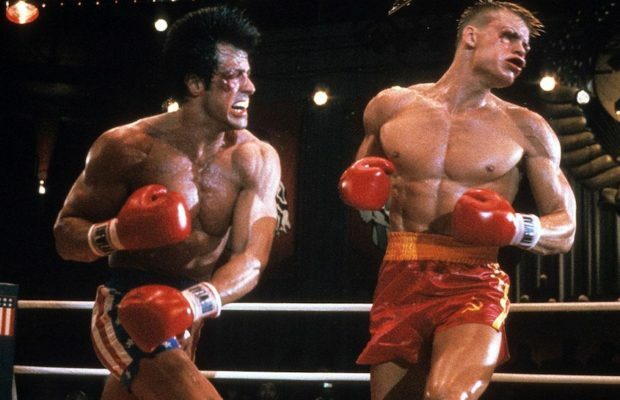 A Die Hard plot can rarely go wrong within Manly Movie’s spectrum, anyways. Lau portrays Superintendent Cheung, a cop and bomb disposal expert who, in a bombastic opening chase sequence, successfully busts a criminal gang specializing in explosives, though its leader, the aptly named Blast (Jiang Wu, A Touch of Sin), escapes, vowing revenge. Seven years pass by before Hong Kong is rocked by a series of bombings, culminating in Blast and his new gang taking the Cross-Harbour Tunnel, Hong Kong’s busiest underwater tunnel, and the hundreds of citizens traveling within it, hostage. Cheung must now race to stop Blast before he blows them all up. 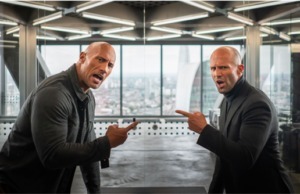 A lot of current English-language action films prefer to keep the already-knowing audience in the dark with predictable character suggestions and motifs, before revealing a half-baked twist that’s already guessed by every member in the cinema. Shock Wave, by most Asian action standards, makes each character clear-cut from the get-go, allowing easy viewing from then on out. Once the characters are established, tension really picks up with the tunnel takeover scene, and never lets up until the film is over. Director Herman Yau is not a name familiar to most cinephiles, but I can assure you that he is an absolutely batshit insane B-movie filmmaker if unhinged (see his infamous 1993 ditty The Untold Story, that will assure you’ll never eat a Chinese steamed pork bun again). Yau’s usual trademarks are blunt dialogue, a lot of dark comedy and straight-forward plotting, and here it is no exception. This time, though, Yau dials the lunacy down and uses his biggest budget to date here with admirable discipline, handling of the tension and action sequences in a crisp manner with plenty of tension, shootouts, bloody wounds, smashing cars, and (in one instance) exploding bodies to fuel about half a dozen action films, though slightly undone by some mediocre (not outright terrible) CGI which gets really outrageous later on in the film (it’s a 2010s-era Chinese action film, what else can you expect). Lau, who has had a bad streak of films recently, picks up the tempo here and makes for a very capable action lead even at the age of 56, and commands each scene with charisma. Most of the action is centralized around a singular prime location, which makes it even easier to follow and not allowing the tension to dissipate. 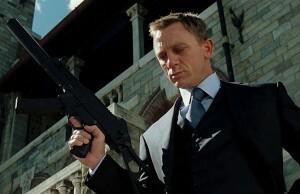 There is a twist, however, that nearly took me out of the film, but the dastardly villain Blast steers it back on track. Unlike last year’s dismal Sky on Fire, here the plot, characters and action make perfect sense, and Cheung is a character I actually came to worry about, which is crucial in an action film. Ultimately, as an action film, an Andy Lau vehicle, and a tribute to the valiant Hong Kong police, this film succeeds as a fun, serviceable watch. 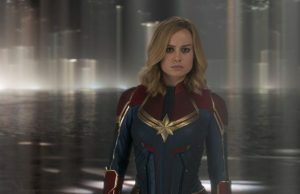 There are flaws, such as a scene where the wife gets kidnapped and trapped in a drawn-out sequence, but not nearly enough to derail the entire film.